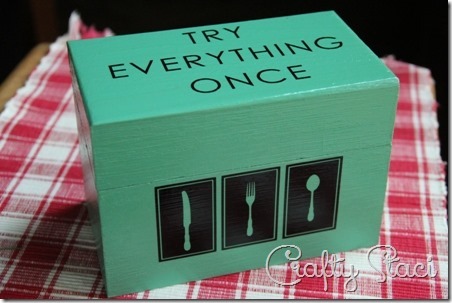 Last month I showed you a recipe box I had painted and embellished with my new vinyl cutter. I don’t know if you noticed the color, but it was a turquoise leaning toward green. It wasn’t a shade I had in my paint arsenal, but one I mixed myself. I combine paint often to get the color I want, but the problem is that there is always too much of it by the time I’m done. I don’t want to run out because it’s impossible to replicate exactly, and as I add more paint to get the color I want I end up with a lot. I hate to waste it, so I usually go find something else to slap it on. That’s how this frame happened. I started out with this. Pretty uninspiring and a little beat up, but I kept it because it was wood and I liked the shape. After a couple of coats of paint and a vinyl cut design, I coated it with Mod Podge. All it needed was something to go inside, so I made this printable. 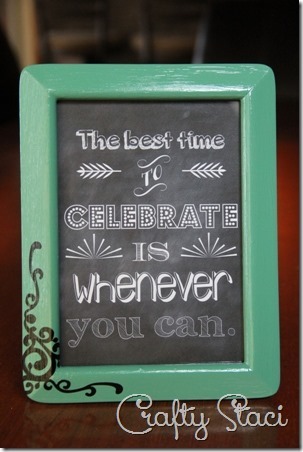 I love the look of chalkboard, but really hate the chalk dust, so this was perfect. If you click on the picture below the PDF should open. 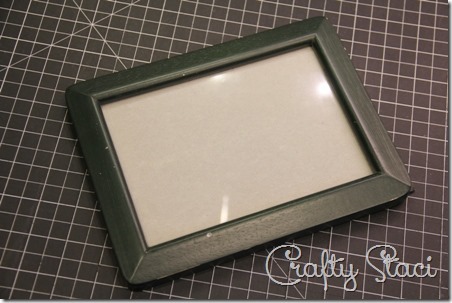 I’m so glad I hung onto this little frame, and it matches my new recipe box. 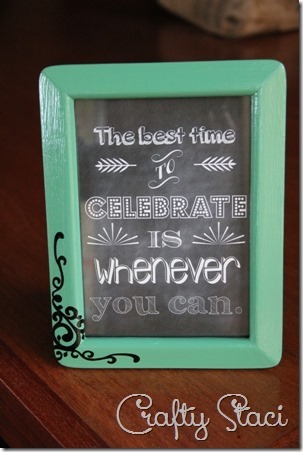 It also matches this tray that I had previously painted with chalkboard paint. And something else before that. There may even be another layer – I’ve forgotten how many times I’ve repainted this poor thing. I didn’t manage to use up all the paint, but decided to quit while I was ahead. I have three projects I love, and that’s something to celebrate.